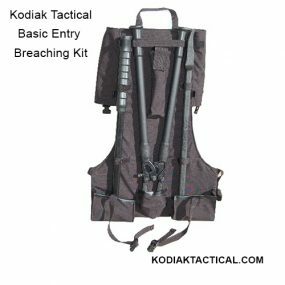 Kodiak put together 3 of the most popular entry tools into a single kit. 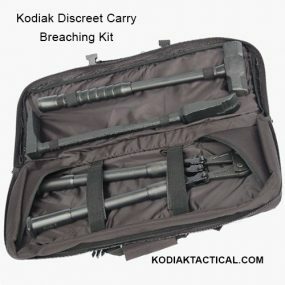 Optional carry bag (EK24CB) or back pack (EK24P) available. 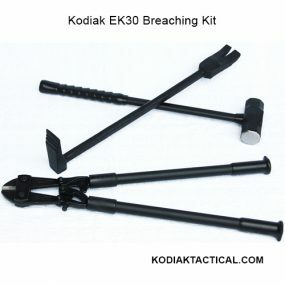 HB24: Single piece Halligan tool with Sure-Grip handle. 8 lbs., 24” long. SH624: Duralight fiberglass handle sledge hammer with super grip. 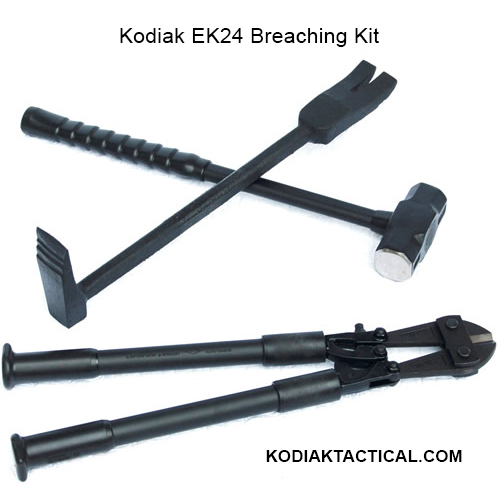 BC24: Heavy-duty bolt cutter with adjustable, replaceable cutting head. 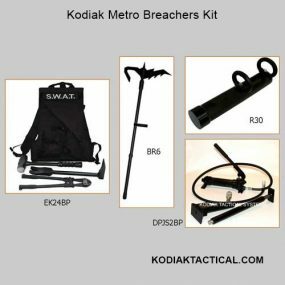 You can customize these kit by substituting any of our cutters, pry bars and sledges to fit the needs of your tactical operations.